A pedigree cattle breeder from the Highlands has been elected president of the Beef Shorthorn Cattle Society. 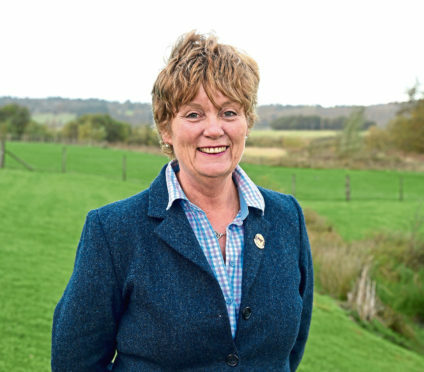 Cathryn Williamson, who has bred Beef Shorthorns for more than 12 years and established her own 20-cow Balnespick herd at Balnespick Farm, Kincraig, two years ago, has been appointed to replace Sally Horrell. “It’s an honour and privilege to be elected to this position at a time when the society continues to grow from strength to strength with a 15% expansion in membership during the last three years. “Pedigree registrations have increased by almost 30% in the last eight years, and Beef Shorthorn continues to remain Britain’s fastest-growing native breed according to Defra,” said Ms Williamson. She said demand for Beef Shorthorn steers continued to be fuelled by Morrisons’ Shorthorn Beef Scheme, as the retailer is extending its Shorthorn Beef brand to be stocked in all its UK stores. “To further improve the herdbook’s quality and strengthen the breed’s positioning, I will be encouraging breeders to select more carefully for maternal traits by performance recording their cattle and in turn, witnessing the benefits,” added Ms Williamson. The new vice-president is Charles Horton, who runs the Hannington herd at Cirencester in Gloucestershire.